"We actually decided to quit." I'm alone on a freezing planet blanketed in snow; pine trees the color of rusted metal hang heavy with white powder. It's minus 163 degrees Celsius (minus 261 Fahrenheit), but my suit keeps me warm. For now. The thermal meter in the bottom-left corner of the screen slowly ticks down, warning me to find shelter or make some with the grenade attachment I recently crafted onto my gun. It shoots orbs of energy that blast through stone like warm butter, sometimes revealing massive underground cave systems dotted with spiky red plants rich in minerals for me to mine. Or, I could simply leave the planet. I could hop into my ship and blast off into the inky, star-studded universe. I could find a more hospitable planet occupied by strange, dinosaur-like creatures. 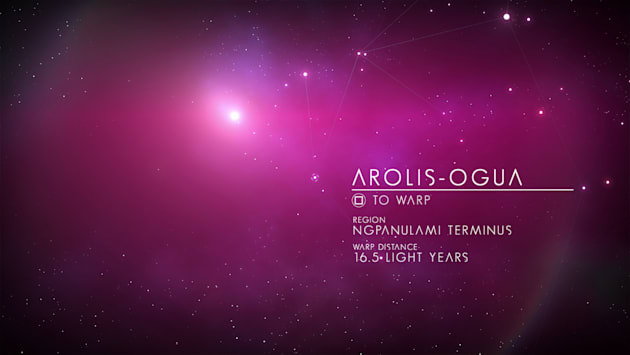 I could find a more luxurious star system, a more dangerous galaxy, a more exciting adventure. The universe is mine. Actually, it's Sean Murray's. He's the mastermind behind No Man's Sky, the creator of this digital universe packed with 18 quintillion planets, each one unique and begging to be explored. No Man's Sky has captured the attention of the gaming world and beyond -- in the past year alone, Murray has appeared on The Late Show with Stephen Colbert, met privately with Elon Musk and accidentally ignited a conspiracy theory involving Kanye West. Three years after its announcement, thousands of people around the globe are impatiently waiting for the game to finally launch. And it will, on June 21st. All of this -- the media attention, the anticipation, the entire universe -- started with four developers working out of a tiny English office in 2009, building a game called Joe Danger. "Actually breaking away and doing your own thing was a stupid thing to do at the time," Murray says, recalling the early days of Hello Games. Murray, Grant Duncan, Ryan Doyle and David Ream all ditched stable gigs at established studios like Criterion Games and Electronic Arts to go independent in 2009, which was a huge risk at the time. A stupid one, even. "There was no PSN or XBLA, or they'd just started," Murray says. "I think like Warhawk had been announced or something like that. People didn't really understand what that was, that digital, downloaded game kind of stuff ... And there were indie studios, but there were hardly any indie games on Steam." Murray worries that this story makes him sound ridiculously old, but this was all only seven years ago. Since then, independent games have become an ingrained, exciting part of the gaming ecosystem, and it isn't odd to hear about AAA developers starting their own studios. "We were doing it before it was cool," Murray says. "We were the original hipster indie developers." 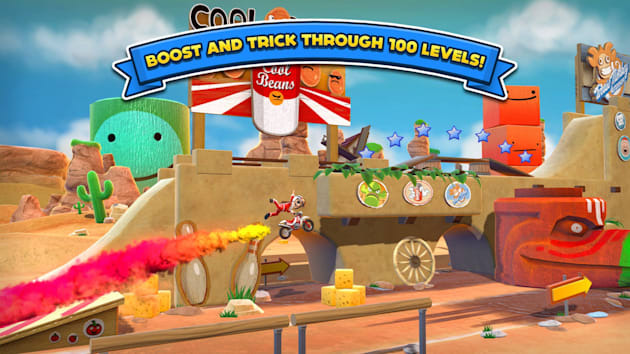 Hello Games' first project was Joe Danger, a cartoonish, 3D side-scroller about a lovable dirt-bike daredevil. For months, Hello Games happily worked on Joe Danger and tried to secure a publisher. Emphasis on tried. "Everyone turned us down," Murray says. "Sony turned us down, and Microsoft and so many places." Murray attempted to find a publisher for nine months, until the studio ran out of money. "We actually decided to quit," Murray says. Resigned to giving up their independent dreams, the Hello Games team went out for drinks. It was the end of an era and a strange kind of celebration -- indie development was hard work, and after nearly a year in that world, they were done with it. Now, they would get "normal" jobs and move on with their lives. And then Murray, Duncan, Doyle and Ream got drunk. "We came up with this stupid idea," Murray says. "I had a house, and so I sold my house to pay for the rest of development." Even once he sobered up, Murray didn't mind selling his home in the name of remaining independent. "The way I looked at it was like, I had bought that house because I had worked at EA, so it was like blood money. Like a blood diamond. You gotta sell that; that's bad karma." Nine months and loads of debt later, Joe Danger came out -- and it sold extremely well. 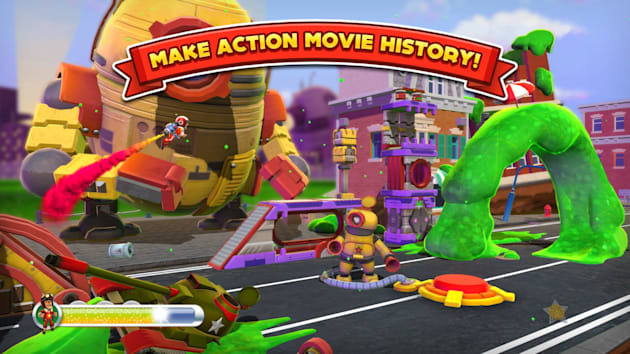 Hello Games released a sequel, Joe Danger 2: The Movie, in 2012, and the studio built up its relationship with major distributors like Sony, Microsoft and Apple. 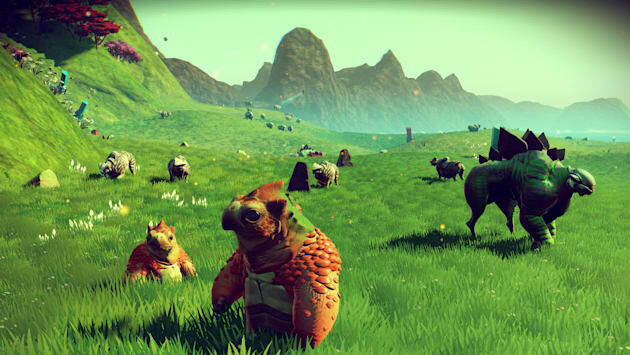 And then in 2013, seemingly out of nowhere, No Man's Sky appeared. It was vastly different from Joe Danger, a stylish science fiction exploration game that promised to be as big as the universe itself. Its planets were each unique and filled with fantastical landscapes -- tall red grasses, roaming stegosaurus-type creatures, vicious horned goats and towering purple cactuses. When Hello Games revealed No Man's Sky during the 2013 VGX show, it was hard to believe this massive, gorgeous project had been spawned by the same team that created a series as lighthearted as Joe Danger. But for Murray, No Man's Sky had always been the goal. Murray started programming when he was 5. His formative years were filled with sci-fi novels and video games set in space; he devoured the renowned 1984 title Elite. And as a child, he had plenty of time to absorb these interstellar fantasies. "When I was a kid, my parents traveled around a lot," Murray says. "I was born in Ireland and I lived in Australia for a good while when I was young. My parents were really eccentric, and we lived in the outback for a while on this like million-and-a-quarter-acre ranch that we were managing. It was totally cut off from the rest of the world." 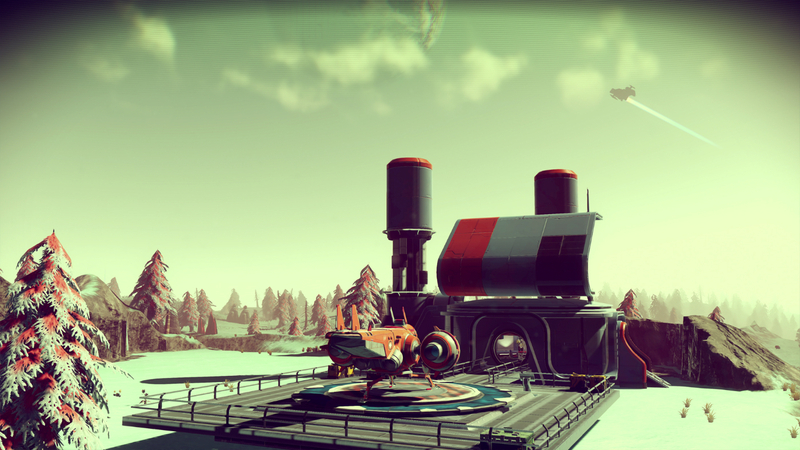 Murray didn't create No Man's Sky when he was a kid, but he fantasized about a game like it. One day, he thought, someone would build a game as big as the universe itself. It would be mind-blowing. "You're playing Elite and you're looking up at this incredible sky that you get in Australia at night, and you're thinking, Surely these two are going to merge, and I'm going to be able to visit these planets in Elite," Murray says. "I'm going to be able to land on them. And that seemed really simple to me at the time. I thought that would happen in the next couple of years." It did happen, eventually, but only because Murray decided to make it. Murray is definitely on to something here. Fifteen minutes into my hands-on demo of No Man's Sky, I click the center pad of the DualShock 4 controller and the game quietly shifts. The screen zooms out from my tiny spaceship to show a Galactic Map of the surrounding star system, planets glowing among neon clouds of interstellar dust. A thin line marks a path toward the center of the universe, the place that every player will try to reach. The place that very few people, if anyone, will ever actually find. That's all perfectly fine. I scroll through the stars, at first following that thin line before abandoning it to soar freely across new solar systems, breaking through the clouds of purple, blue, green and pink galaxies light-years away from my ship, one right after the other on an infinite journey. I focus my view on a nearby sun and the game's music crescendos into a rich, deep ringing sound that vibrates beautifully through my chest. This is it. This is the real game, right here: flying through a digital universe as vast as our own and letting its inconceivable beauty consume you. That's the heart of No Man's Sky.